Eshu is the Yoruba spirit of Chaos and Trickery who directs traffic along the Road of Life from his abode at the Crossroads of Fortune. If you’re faced with an important choice or a powerful opportunity, he can offer assistance to swing things your way. A messenger, he carries complaints to the Gods, questions to the spirit world, and messages to any living thing. Also known as a personification of death, he is often identified by the number three, and the colors red and black. While big name private security firms are hired to guard critical infrastructure and babysit top-tier personalities, governments, global corporations and well-funded private concerns always have demands beyond the pale of legal discourse. Translated in the vernacular, that means espionage, sabotage, kidnapping/defection, clandestine transportation, assassination… Black Contracts. That’s exactly where you’ll find mercenary teams like Eshu International. They live, fight, and die at the sharp end of their employer’s dirty little secrets. Two combat veterans lead the Eshu crew: a former North Korean commando Tam Song and former Canadian Special Forces Operator Jace Manner. 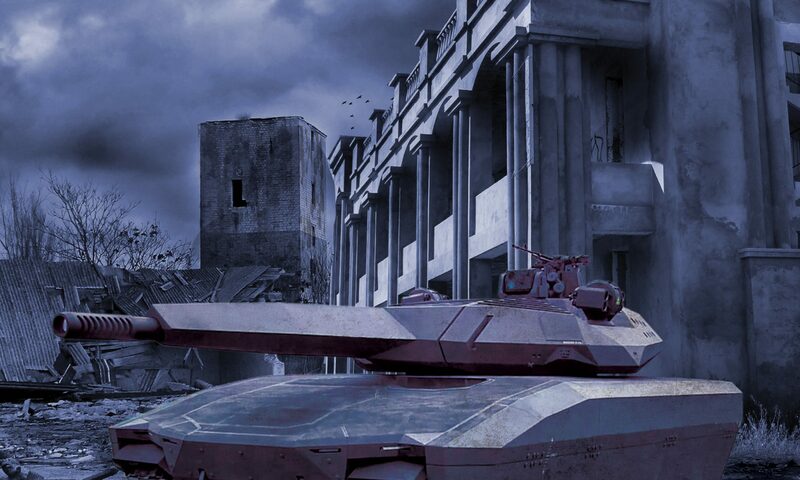 The former left for dead in the disastrous attempted invasion of Taiwan in the winter of 2035, the latter drummed out of the service for Gross insubordination after a classified incident during the Detroit-Windsor-Cleveland Metro Riots in 2043. The cyberware/drone specialist is Devante Perez, alias “Poet9”. A former gang-banger and hacker, he grew up in the Mexican City Sprawl surrounded by the brutal poverty and constant gang violence. He is fitted with an advanced, military grade, cybernetic interface unit acquired during indentured service to the Mexican National Bank. 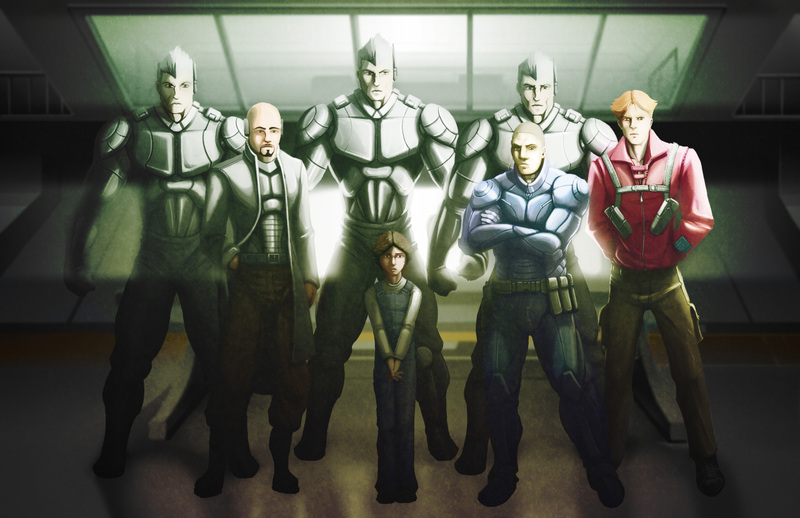 Three lethal combat-clones round out the crew. Never given names, they are known as the Triplets, or “The Killer Bunnies”: Flopsy, Mopsy, and Cottontail. 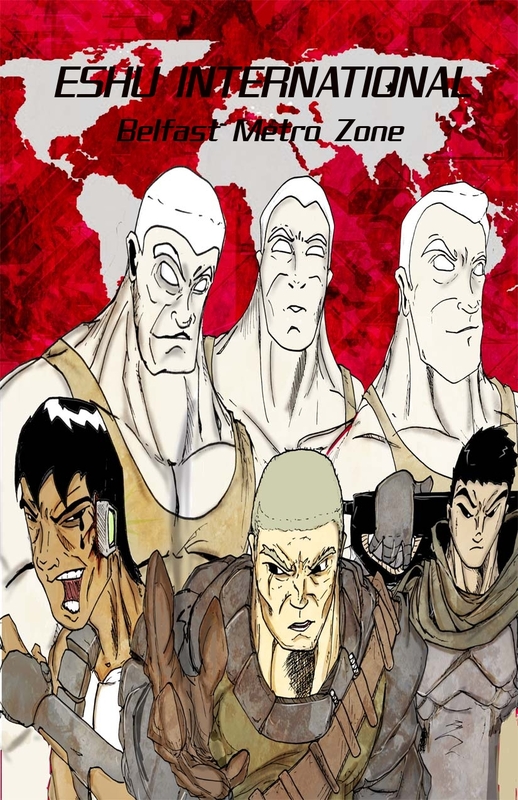 They are the last of a series of heavily modified, illegal clones created by an insane African Dictator to be the deadliest soldiers in the world. Given the nature of their business and varied histories, Eshu seemed the appropriate icon and patron. Currently on retainer with the massive Dawson-Hull Conglomerate, there’s no love lost between the members of Eshu International and their corporate masters, but each one of them is a fighter, a survivor. Banding together, they do what they must to stay alive in the treacherous world of espionage and intrigue. Next PostNext Would you keep writing?